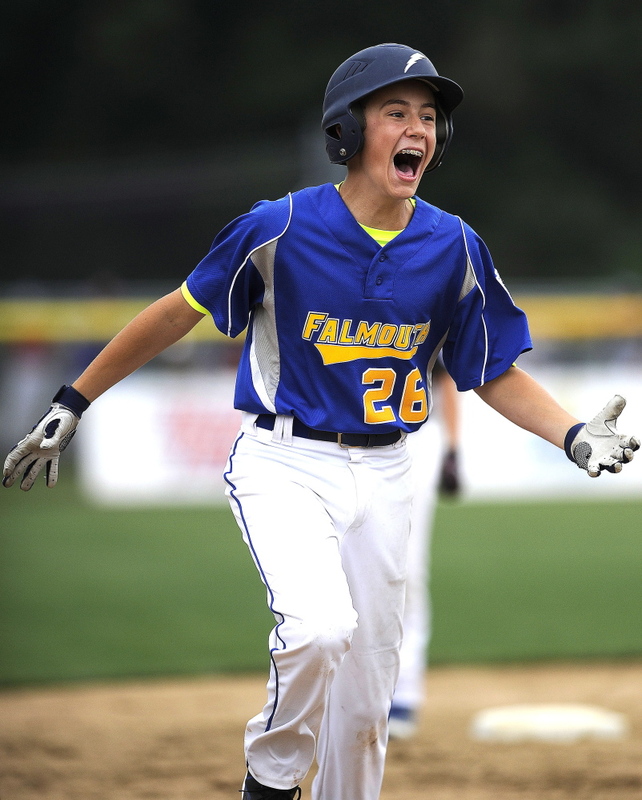 Alex Smith's two-out, two-run homer in the sixth gives Falmouth a 3-2 win over Goffstown, N.H.
BRISTOL, Conn. — Perhaps it was poetic justice. 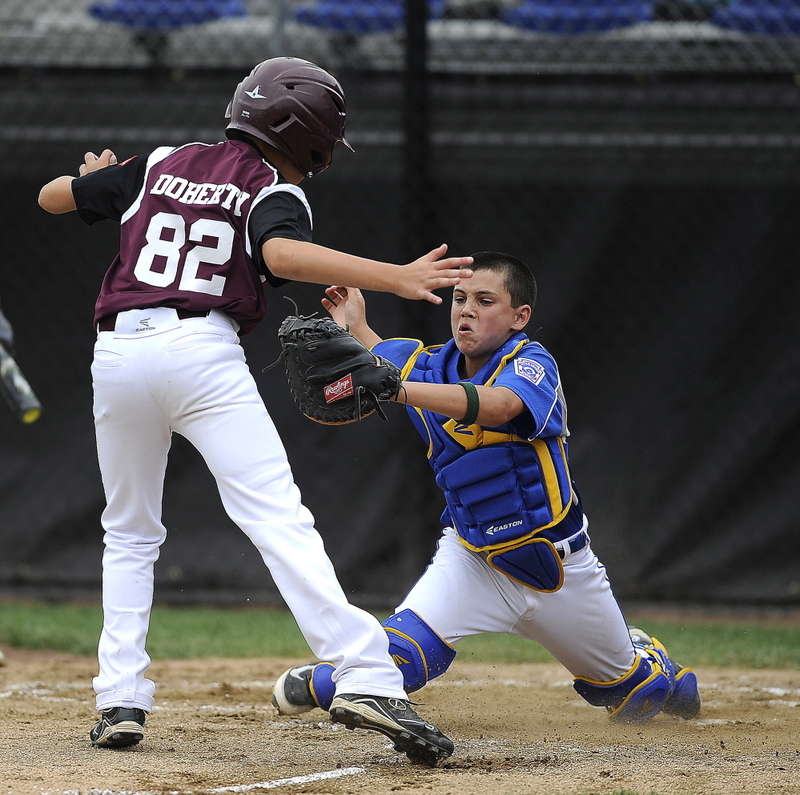 Alex Smith belted a two-run homer with two outs in the bottom of sixth inning Friday as Falmouth rallied for a 3-2 victory over Goffstown, New Hampshire, in its New England Little League Regional opener at Breen Field. Smith, who started on the mound, cruised through 42/3 innings before a pair of errors in the fifth led to two unearned runs for Goffstown. Smith’s home run put a dent in the scoreboard in center field. 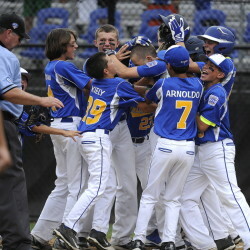 He pumped his first as he rounded first base. Josh LeFevre, who relieved Smith in the fifth, kept Falmouth alive in the bottom of the sixth with a two-out double off Clay Campbell. 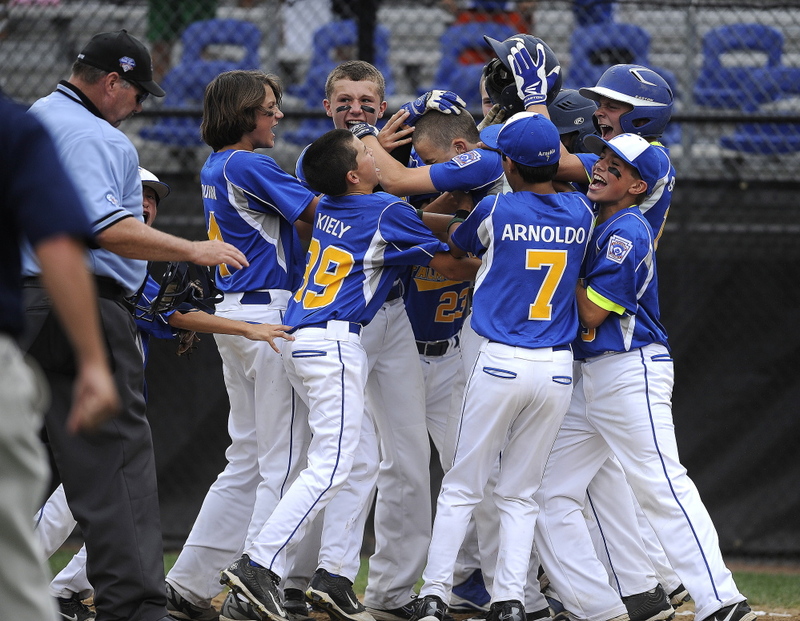 The count went to 2-2 on Smith, who fouled off the next pitch, then took a ball before crushing the 3-2 pitch, setting off a wild celebration by the jubilant Maine champions. Through four innings, it appeared that Sam Manganello’s solo home run over the center-field fence in the first inning off Goffstown starter Connor Hujsak would be the difference. 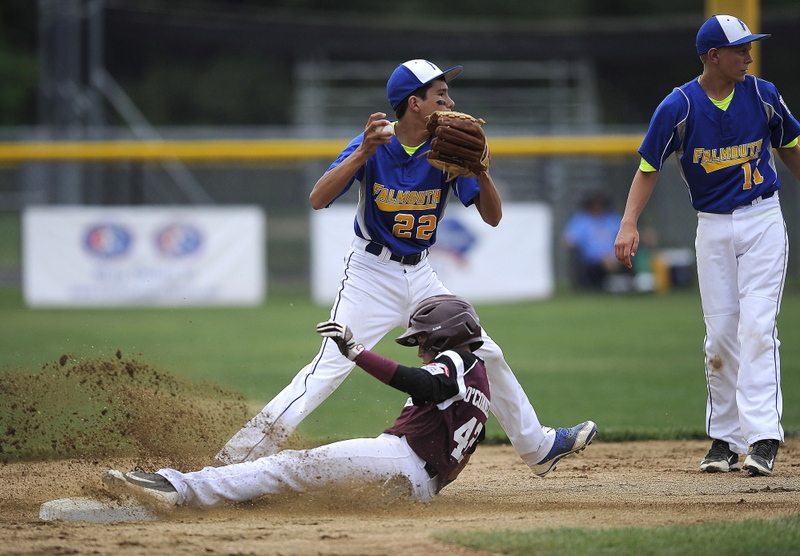 Falmouth’s defense faltered in the fifth, however, turning the one-run lead into a one-run deficit. With two outs, Conor O’Connell hit a comebacker, but first baseman Manganello missed the bag after taking the throw from Smith. O’Connell moved up on Hujsak’s walk and scored on Ben Harris’ single up the middle. 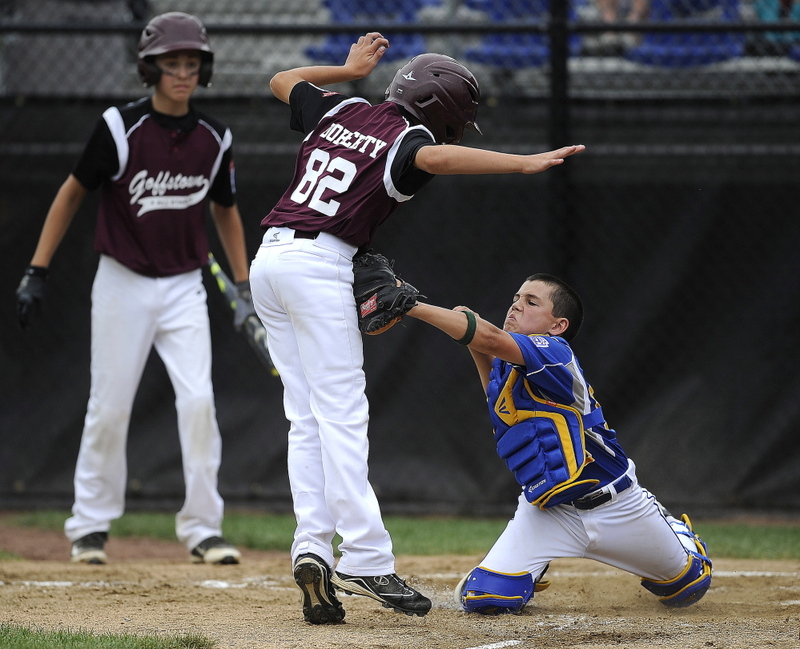 Goffstown took a 2-1 lead on LeFevre’s throwing error. 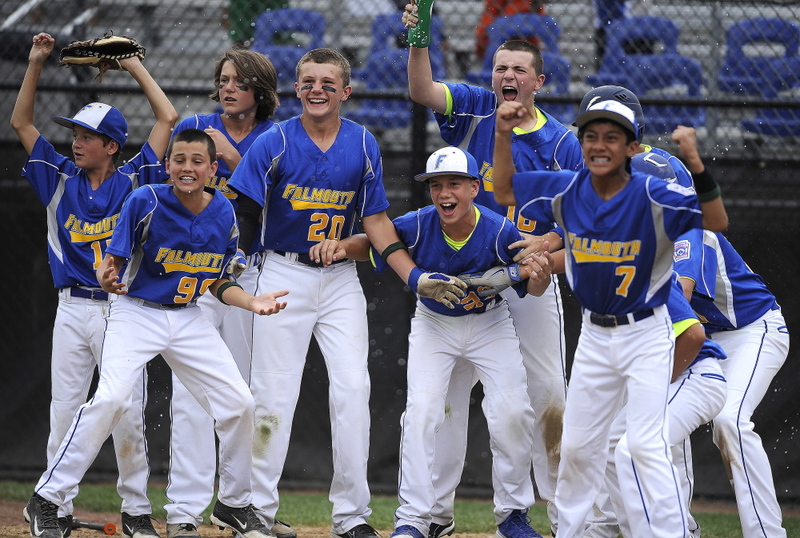 With only 11 players on the roster and two with arm issues, Falmouth is short on pitching, but the Maine champs once again found a way to come from behind. Connor Coffin replaced LeFevre with one out in the sixth and stranded a runner at third to keep the deficit at one. He was credited with the victory. 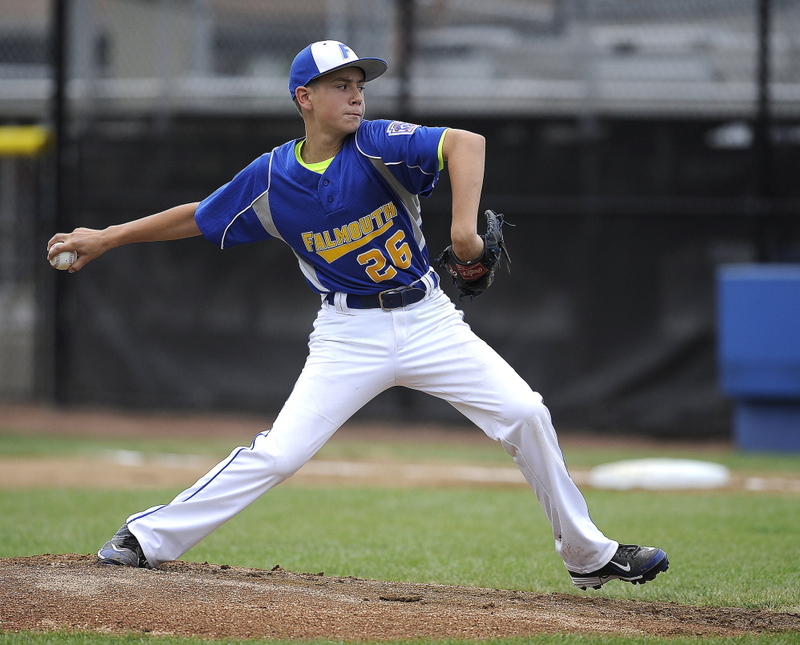 Falmouth, making its first appearance in the regionals since 1992, continues pool play against Fairfield American of Connecticut at 8 p.m. Saturday. Falmouth plays Williston, Vermont, at 2 p.m. Sunday and Barnstable, Massachusetts, at 2 p.m. Tuesday in a game that will be televised by NESN. The top four teams advance to the single-elimination semifinals.